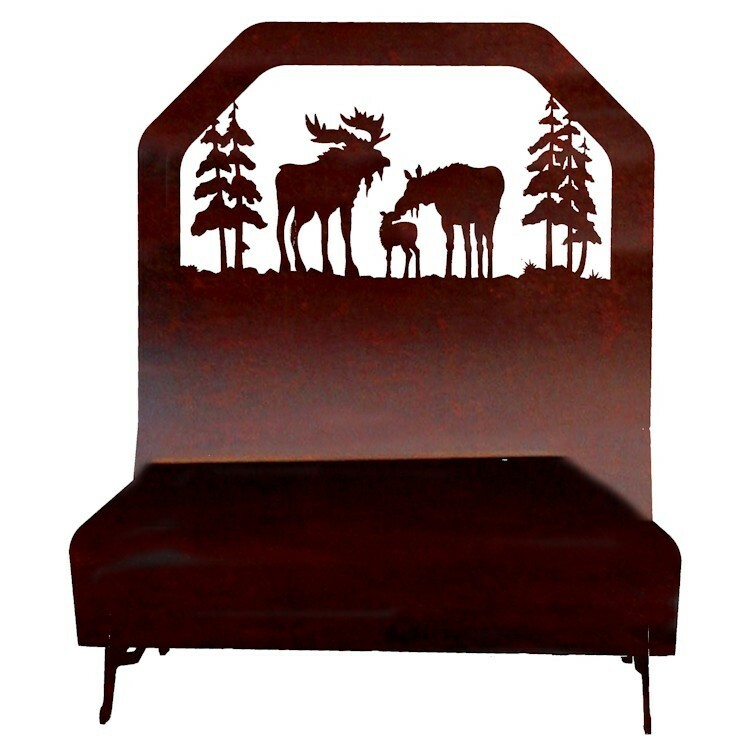 A scenic moose family design adorns the top of this useful and decorative Moose Log Holder. Hand crafted of sturdy steel, this rustic log holder can accommodate approximately 6-8 logs. Made in the USA. A scenic moose family design adorns the top of this useful and decorative Moose Log Holder. Hand crafted of sturdy steel, this rustic log holder can accommodate approximately 6-8 logs.